Boondi raita is a curd aka yogurt based Indian condiment that’s served as a side with flavored rice like pulao, jeera rice or aloo paratha. Raita is an integral part of North Indian cuisine and there are numerous raita varieties that are also served as salad. The popular every day raita in most homes across India is onion or onion-tomato raita followed by cucumber raita and boondi raita. 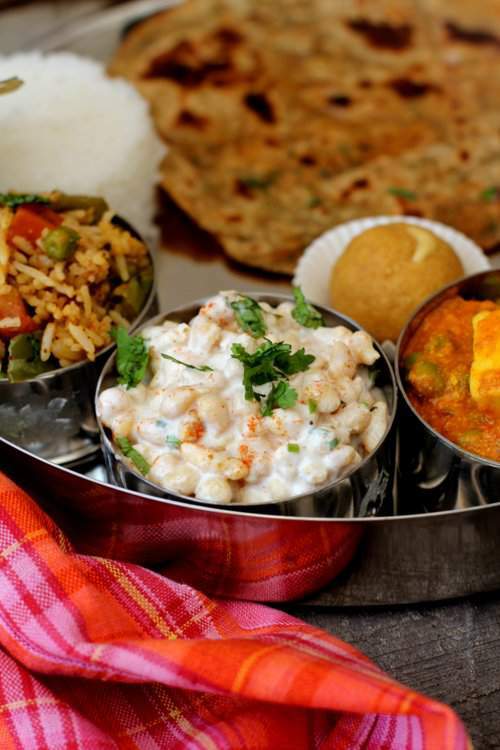 In South Indian cuisine, raita is more popularly known as pachadi which usually calls for a tempering aka tadka of spices like mustards seeds, asafoetida, dry red chilis and fresh curry leaves that is poured over the pachadi just before serving. 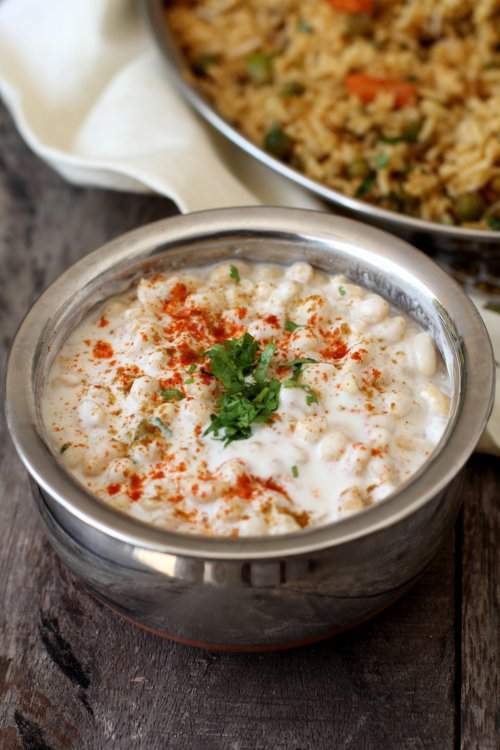 Boondi raita is one the easiest and quickest raita recipes one can ever whip up. 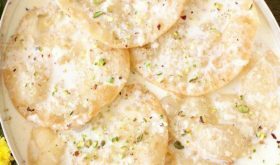 Boondi is a light, crispy, chick pea flour based snack that is a major component in the making of Indian savory snacks, chaat and sweets. Boondi mixture, South Indian style mixture and boondi laddu are a few items where boondi is the star player. Boondi can be made at home though it is easily available in most departmental stores in India as well as in most Indian grocery stores outside India. Usually stores stock spiced boondi or kara boondi that is eaten as a snack with tea. So, while making raita, make sure you use the salted, unflavored plain boondi. Usually, quite a few home cooks soak the crisp boondi in luke warm water so that it softens before being added to the beaten yogurt. I find that the soaking of the boondi in water gives it a bland flavor. So, I add the crisp boondi to the beaten spiced yogurt mixture and chill it for a couple of minutes for the boondi to soften and soak up the flavors. The key to a perfect tasting raita depends on good quality of curd. Use thick, well set curd or yogurt and if you have a watery curd, drain the curd for a couple of minutes and use it. 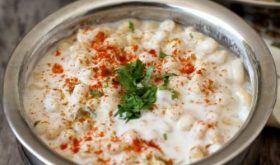 Dahi boondi raita or any raita can be seasoned with a variety of spices and herbs like roasted cumin or coriander powder, pepper powder, black salt, red chili powder, mint or coriander leaves. 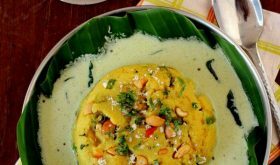 This boondi raita makes for a great side dish with North Indian style dishes like parathas and pulaos. I served boondi raita with tawa pulao and masala paratha. In a bowl, whisk the curd/yogurt till smooth, add the milk, water, black salt, 1/4 tsp red chili powder, 1/4 tsp roasted cumin powder and salt. If you want a soft on bite boondi raita, add the boondi to the yogurt mixture and refrigerate it for at least 30 mts before serving. If you want a crisp raita, add the boondi to the yogurt mixture just before serving and mix well. Sprinkle roasted cumin powder and red chili powder. Garnish with chopped coriander leaves. 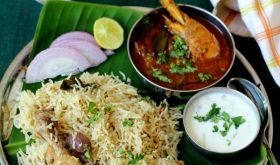 Serve chilled with paratha, pulao or biryani. You can add a pinch of black pepper powder and chaat masala for variation. Fresh or dried mint leaves can also be added for variation. Alternately, you can soak the boondi in luke water for a mt, drain and add the beaten yogurt for a soft boondi raita. Since store bought boondi is salted, reduce the quantity of salt in the raita. By Sailu Published: January 5, 2016 Boondi raita recipe is a flavorful, easy to make yogurt based side dish served with pulao. 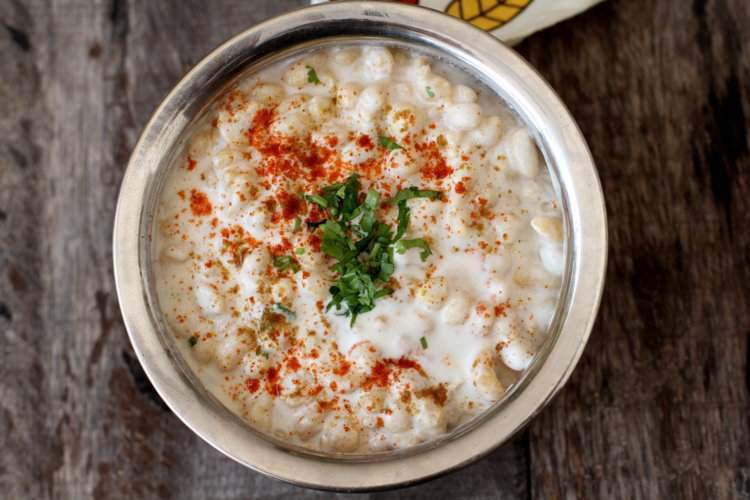 Learn how to make boondi raita thats popular among raita recipes. Boondi Raita my favorite and would like to have it any time. 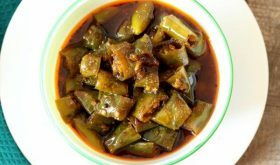 This is very simple recipe to make within a minute. 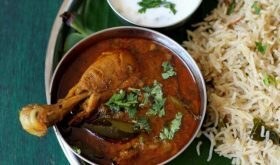 This Recipe can never go wrong and it is a savior when guests arrive. I always make boodi raita but also add bit of pomegranate seeds to add color to the white raita and serve it along with Dal and curry.